Not everyone is cut out to be a landlord or landlady. If your relationship with that investment property has soured, maybe it is time to sell. You bought the property in hopes that your renters would pay your expenses while the property appreciated. Now that the market is (somewhat) recovered – time to collect on that appreciation! Before you start spending your profits, take a breath and then sit down and think through what your net gain or loss might actually be – after taxes and all selling expenses. Once you put emotion aside and really look at the numbers, then you can determine the strategy that is best for your situation. Your best strategy may involve situations such as waiting until your income levels go down; gifting your property instead of selling it; waiting for the market prices to go up; selling now, even if at a loss; or living in your property for awhile before you sell it. Some of the costs you may encounter in a real estate transaction can be quite expensive. Here are some examples. Real Estate agent commission: Negotiable! Get bids and interview at least three agents from different brokers. Figure out what there services are and what they are worth to you. Common commission percents of your property’s sales price can range from 3 – 7% – which add up fast. If, for example, you were to sell your vacation rental condo for $200,000 and contracted with your agent to pay her 5%, you would owe her $10,000 – reducing your proceeds to $190,000. Closing costs: Per Realtor.com these are typically paid by the buyer, these costs can add between 2 – 7% of the purchase price to the buyers bill – but a motivated seller might grant some $$$ towards them. They might include things such as fees charged for obtaining a mortgage; cost of home inspections; homeowner’s insurance; title insurance and settlement fees; property taxes or transfer taxes. Sellers closing costs can include loan payoff costs (if you still have one on the property), including possible prepayment penalty fees; title insurance fees, notary fees and attorney fees. When we closed on our condo, we as the cash buyers only had to pay $152 of the settlement charges. We did have a home inspection which was around $200 as well. The seller ended up doing an appraisal for $250 for us, paying $75 of the settlement fees, $15 for UPS and $547 for title insurance. In addition they paid the real estate commission of 12,639 (6% – which was split 50-50 between two different realtors) as well as a first and second mortgage. Home inspection. The buyer pays for this and will usually make the sale contingent on, at least, acceptable results from their home inspection. The seller may decide to keep the sale by providing funds or fixes for some or all of the issues found. Taxes. Real estate is subject to yearly taxes by the county. When real estate changes hands, the taxes are usually prorated between the buyer and the seller, each paying for the part of the year they held the property. We bought on December 22 and the taxes couldn’t be divided because the county hadn’t yet split them out for the condo complex into individual amounts per unit. Of course, you have taxes every year you own the property as well. The seller may have to pay capital gains taxes. 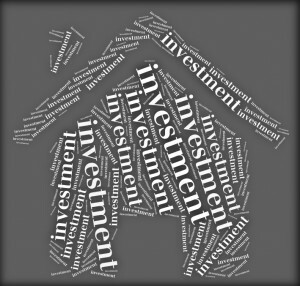 To estimate your capital gains tax, you have to know your basis in the property. Selling costs do NOT include things which affect the real property – such as a fresh coat of paint or cost to add landscaping or do staging of the home to sell it. Condo owners, such as myself, can also add their share of the cost of any improvements to the complex that they had to help buy. It is something that may folks forget to add to their basis. You want to include as much as you can in your basis to avoid paying unnecessary capital gains taxes. So our total basis: $210,000 + $352 + $1100 = $211,452 minus $59,803 = $151,649. We have not had any causality losses or insurance payouts to us. These condo sale prices have ranged from $192,000 (in the down market by a really motivated seller) to $265,000 for one that is furnished a bit nicer than mine. $250,000 (gross sale price) – $10,275 (selling expenses) – $151,649 (our tax basis) = $88,076 (our net gain for tax purposes). Assuming that we would pay 20% on the gain of $88,076 that would be an extra $17,615 in taxes using an online calculator. Ouch! Even at 15% (the rate most people would pay in 2014) it would be an extra $13,211. The numbers that are real to me would be $250,000 (gross sale price) – $10,275 (selling expenses) – $17,615 (additional taxes) = $221,110. We paid $210,000 so our net gain after taxes is $221,110 – 210,000 = $11,110. Hardly the appreciation I was hoping to get. This amount doesn’t even cover inflation, let alone the opportunity we lost to earn dividends on the original amount we spent on the condo. Heck, I made less on the deal than Uncle Sam did! Because of the depreciation and also some shortfalls in operating income vs operating expenses, we have had a tax loss on the property each year. However, we have not been able to claim that loss due to the overly complex and landlord unfriendly income tax laws we now have. Our loss is considered a passive loss and could not be deducted against our income most years. Can we use this loss to reduce our capital gain on the sale? Maybe. When can you use accumulated passive loss amounts? Assuming you don’t ‘materially participate’ in the management of your rental and aren’t a real estate professional, you may be able to deduct your accumulated passive losses when you sell your property. You don’t deduct them from the sale price though, they act to offset your other income. At least that is they way I interpret the following advice from the IRS – which may be out of date as this was published in 2004 – 10 years ago. In a fully taxable event (where all gain/loss is realized and recognized). Our accumulated passive losses (so far) are $41,913 on the condo. This figure would be taken into account to reduce our taxable income for the year in which we sold it, hopefully reducing the taxes we owe. What can you do to postpone or avoid the capital gains on the sale? I will be consulting with our accountant about all of this, but my reading has brought several items to my attention for consideration. 1. Exchange your rental property for a like property (do a 1031 exchange). This one is probably not for me. There are strict rules as to when you identify a property to buy and when to close on it, who you have to involve and you are just deferring the gain anyway. Besides, I’m soured on rentals right now! 2. Offset the gain by taking some losses in your portfolio (never an optimal solution unless you are going to sell anyway). 3. Sell in a year in which you will not be earning as much (for me that means selling before age 701/2 when I have to start drawing down my retirement IRA’s). 4. Don’t sell – die with your property and let the basis get stepped up. This is also not an option for me. The darn dues keep going up and the other owners don’t seem to understand the concept of a reserve fund! 5. Live in the house for 2 years in the 5 years before you sell it. This option won’t work for me now because my spouse would not live in our condo! 6. Defer paying the entire amount of the tax by doing seller financing and only paying capital gains as you receive the payments. 7. Defer paying the entire amount of the tax by giving it to a private annuity trust. See more about these options in post Capital Gain Taxes – The Big Bad Wolf for Investors by IRS enrolled agent Michael Plaks. What selling strategy will you use for your rental properties? I’ve always heard it is best to have an exit plan before you start anything. I didn’t – do you? I’m not sure why you wouldn’t have Federal capital gains tax on a property in Arkansas that you haven’t lived in during 3 of the last 5 years? As a real estate agent myself I’m going to commit a heresy and suggest that if you’re a real estate investor you should at least try to sell the property without an agent. 6% commission or even a reduced commission will come right off the top of your profits. There are so many ways to sell a property these days that weren’t around just a few years ago. Think Craigslist and the social media. If you know what you’re doing and where to do it, you shouldn’t even need an agent to sell the property, least of which investment property.